Field, wall mount universal transmitter. Available in Weather-proof, Blind and Explosion-proof housing. Standard 4-20 mA transmission, compact electronic module. 2 wire or 3 wire technology. Suitable in the hazardous area. It continuously monitors dangerous concentrations of gases. The output transmission can interface directly with any receiving instrument / system. 5. 2 or 3 wire output, amart sensor interface, HART / MODBUS (RS485). This state-of-art transmitter is carefully designed and manufacture with industrial grade components for reliability, accuracy and long life. 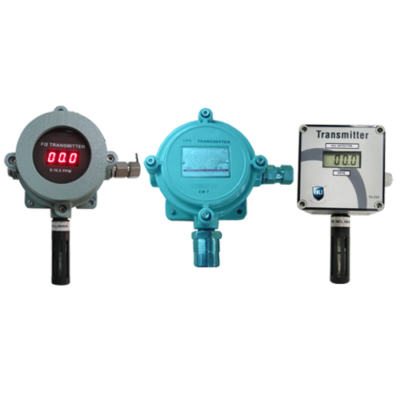 These transmitters are equipped with micro-controller and are optionally featured with self diagnostic, auto-calibration functions through embedded software.